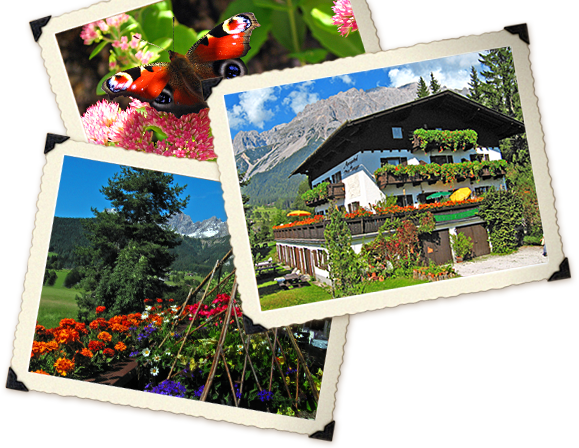 The many loving details make our Alpengasthof something special and convey a feeling of closeness to nature. 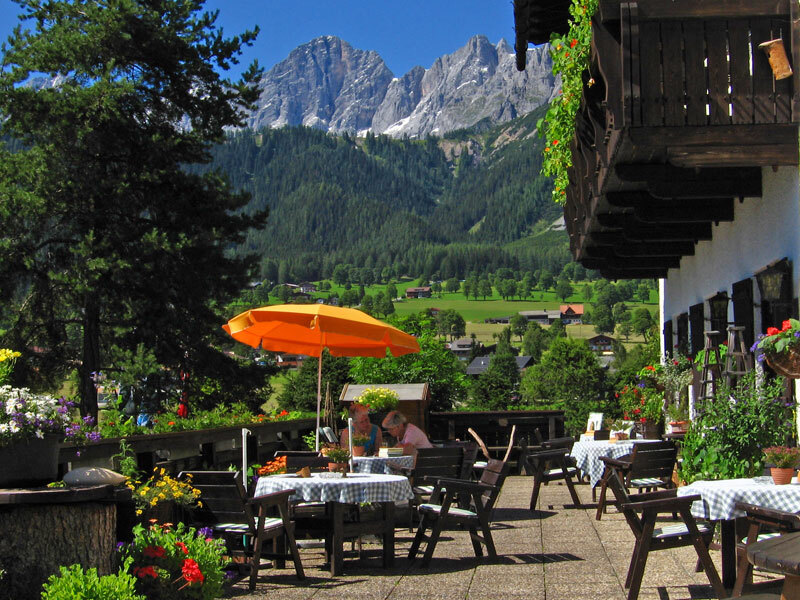 Take a seat in the traditional Styrian snug or on the sun terrace and let the power of the Dachstein work its magic. be maintained. Dessert creations of the kitchen with original grain of nature. 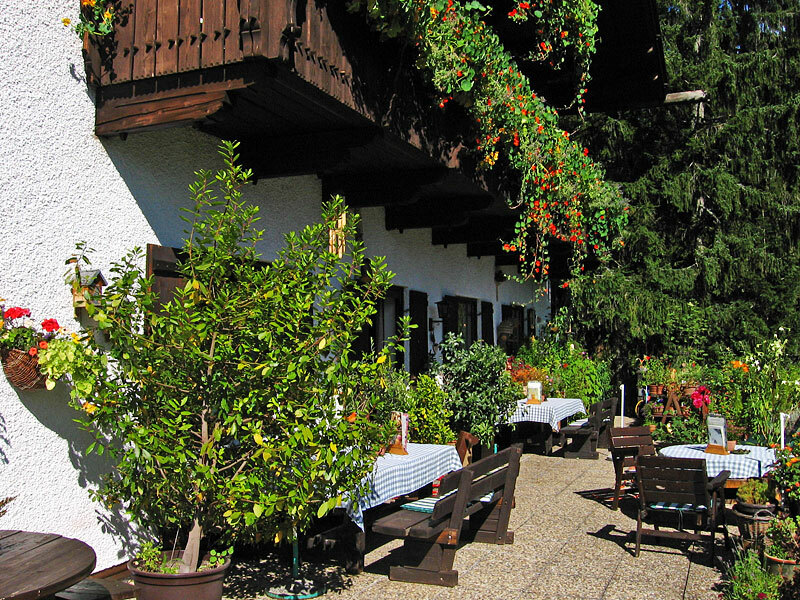 Austrian and special styrian wines are waiting for you. Relax and enjoy your day in our Alpengasthof. in the cosy wooden lounge. Get in touch with specialties of our "Nature-Kitchen". 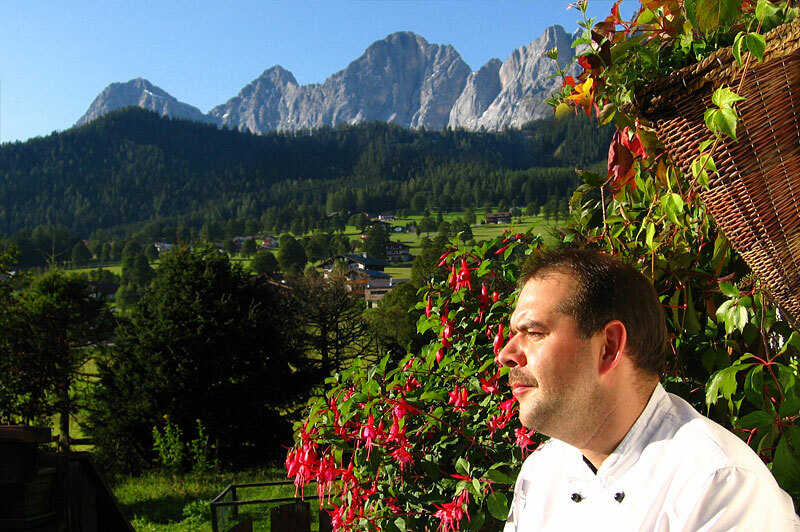 Savour dishes such as cream of herb braised beef, Styrian pumpkin strudel or fillet of brook trout with lemon and thyme. To complement your meal we serve top wines and schnaps. To finish off a large cheese buffet with farmer’s butter and home-made bread awaits, plus home-made cakes and pastries. A particular highlight is the "Rosegger-gateau" made according to the original recipe from Barbara Walcher. In summer over 200 different herbs and aromatic plants grow on our sunny terrace. On so-called “herb days” dishes are created with various herbs. Varieties of thyme, mint and sage enrich the tasty and agreeable food. Our menus are put together with much love and imagination according to season. 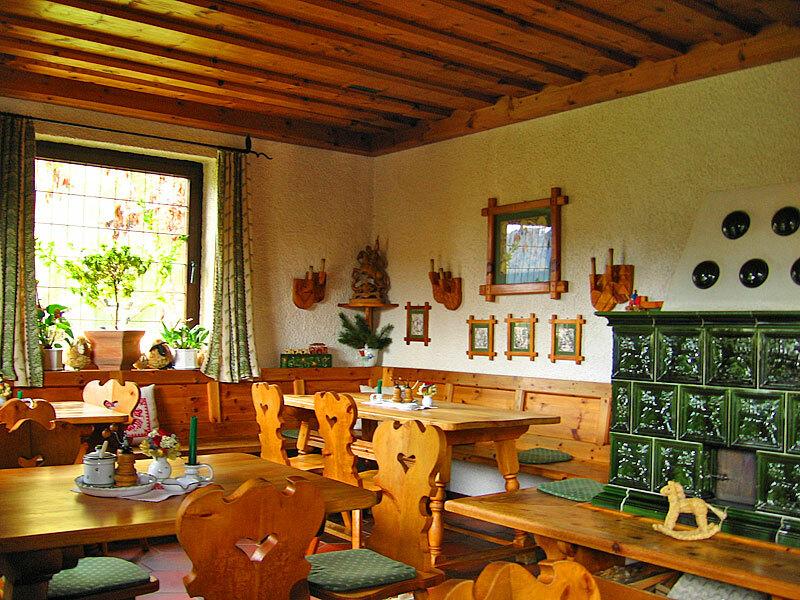 Springtime in the mountains starts with mountain herb soups and nettle specialities. In summertime the colourful floral decoration fascinates the gourmets amongst our guests. In autumn and winter the cranberry-pumpkin slices, pumpkin „schmarrn“ and pumpkin-plum muffins are particular joys for the palate.